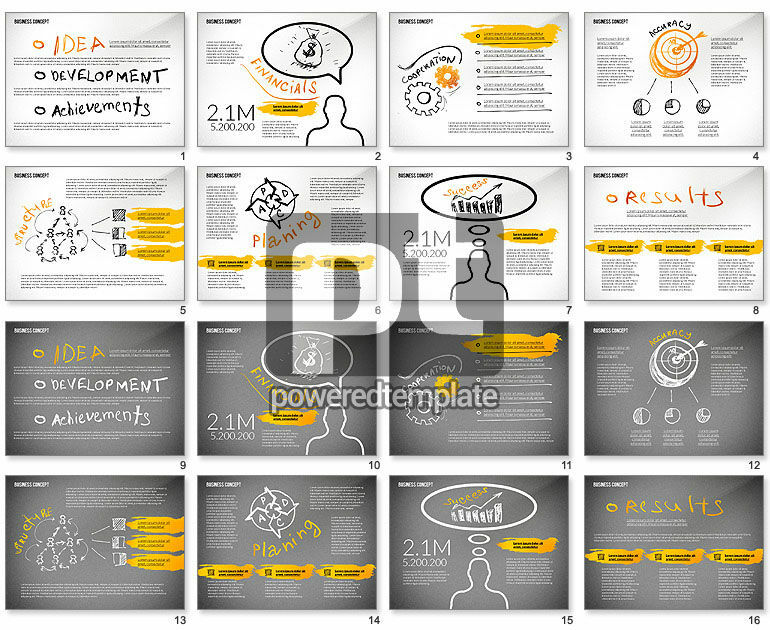 These presentation slides 47423 are complete compatible with Google Slides. Simple download PPTX and open the template in Google Slides. Enjoy this curious template created in a hand drawn style. If you have a bright idea or solution, speak about success, cooperation, reaching goals, finance, development, startups, etc. This sample will definitely work for you having two backgrounds and sketches of people, ideas and words made in a casual manner, in black and yellow colors, which looks very positive and inspiring at the same time.